I stood on my very first slackline during a climbing trip in 2009. At first I thought slacklining was stupid and way too difficult and frustrating to ever be fun. But after I managed to walk a few steps I became addicted. I started practicing almost every day and would soon do tricks, jumps and summersaults on the line. 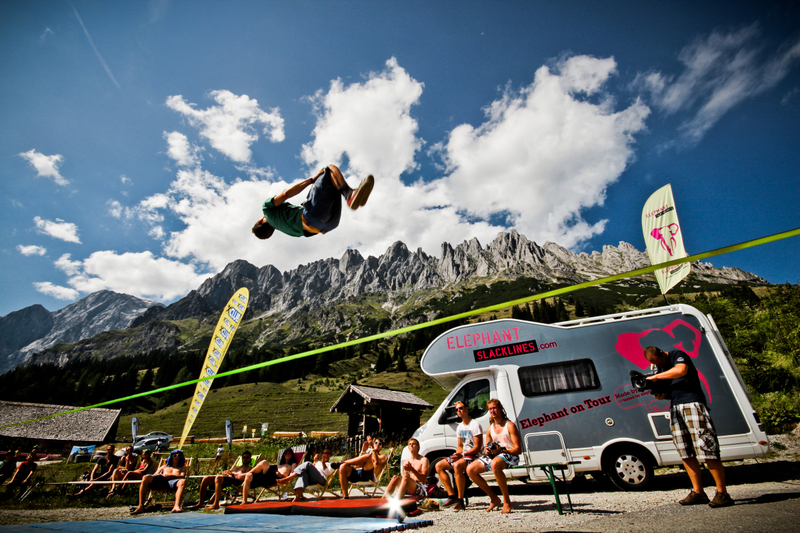 I became part of the Elephant Slacklines team and participated in many events and competitions, the climax being the famous German TV show “WETTEN, DASS…”. Always having had a strong passion for nature, mountains, heights and adrenaline rushes, it was only natural that I would soon get on my very first highline. That was about four years ago and until now, highlining is the best feeling I have ever experienced. I found lots of friends who felt the same way and ever since, we have been pushing each other’s limits and establishing new highlines all over the world. I want to live my life as energetically and passionately as possible. I wish to experience the limits of my physical and mental strength every day and get out of my comfort zone as much as I can. I also want to inspire others to do the same, because I believe that is what leads to ultimate happiness: adventures and pushing your limits. 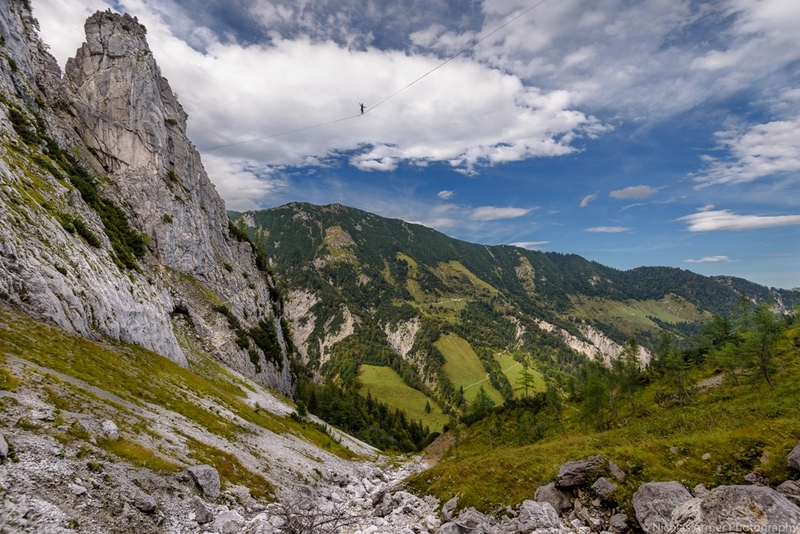 My greatest achievement so far is having successfully walked a 296 m long Highline on regular low tech slackline webbing (as opposed to high-tech webbing like dyneema, which most records are walked on because it is way easier). I was out there in the air for over 40 minutes, completely in the zone. 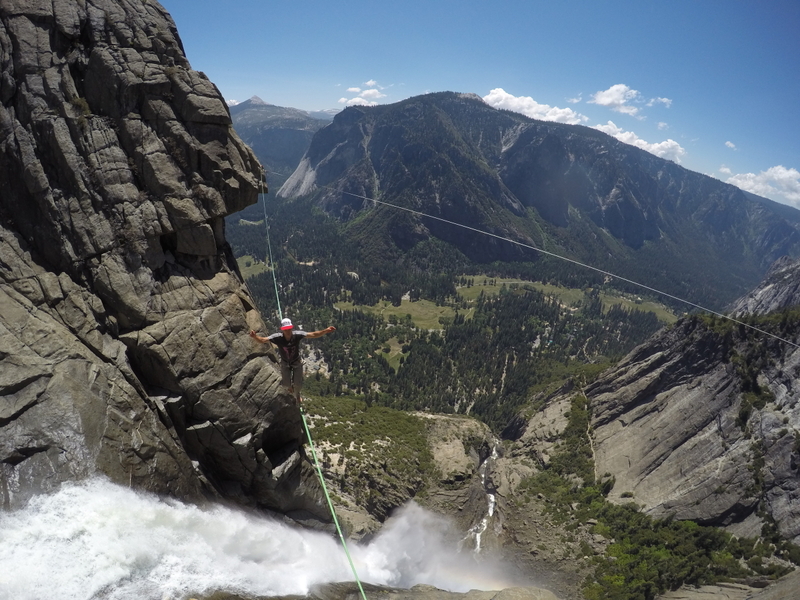 Highlining involves a lot of climbing, mountaineering, handling complicated gear and calculating forces. 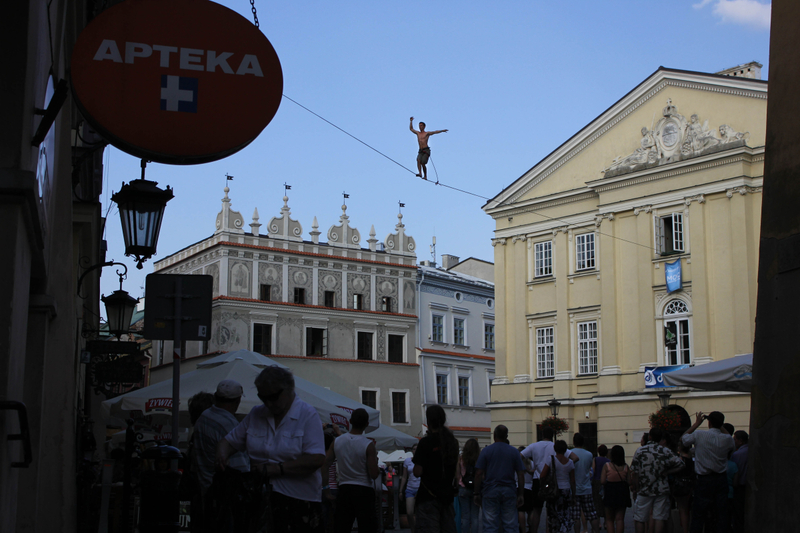 Many people who start highlining will experience a very natural fear of heights, which takes time to overcome. Overall, the rigging usually turns out the most difficult. It often takes us entire days to scout for suitable terrain, get a connection over a canyon, place bolts, etc. All that for sometimes only a few hours of actual highline time. Being out there in the air, levitating on a piece of webbing, only one inch away from flying. Experiencing an adrenalin rush while being in full control of my body and my mind. 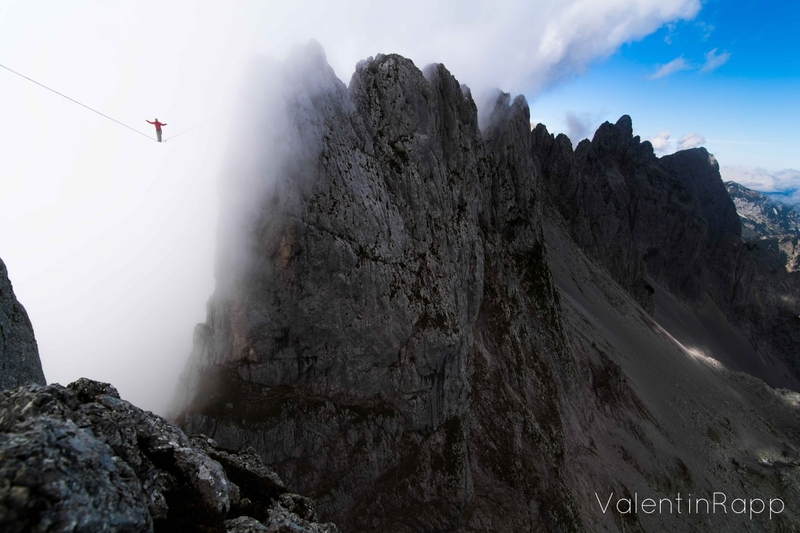 I usually don’t go highlining alone, simply because it is more fun with others. In an alpine environment it can also be really dangerous to go on your own. 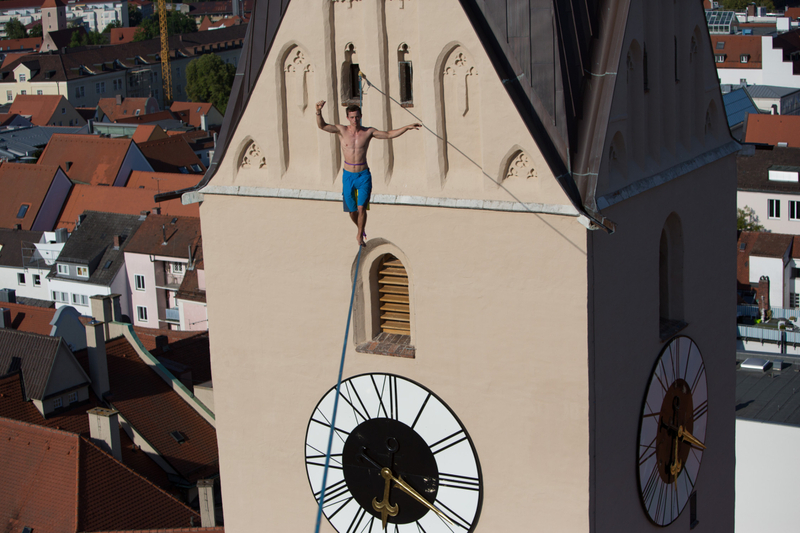 But I often go longline alone in nearby parks in Munich and just practice tricks and endurance on the line. I try pushing my personal limits all the time. That is, each session, I try to stay on the line a bit longer, or come up with new tricks or challenges such as walking backwards, bouncing on one leg, etc. What’s even more important though, is having fun. I never look at slacklining as training for a certain purpose, but rather as pure enjoyment. 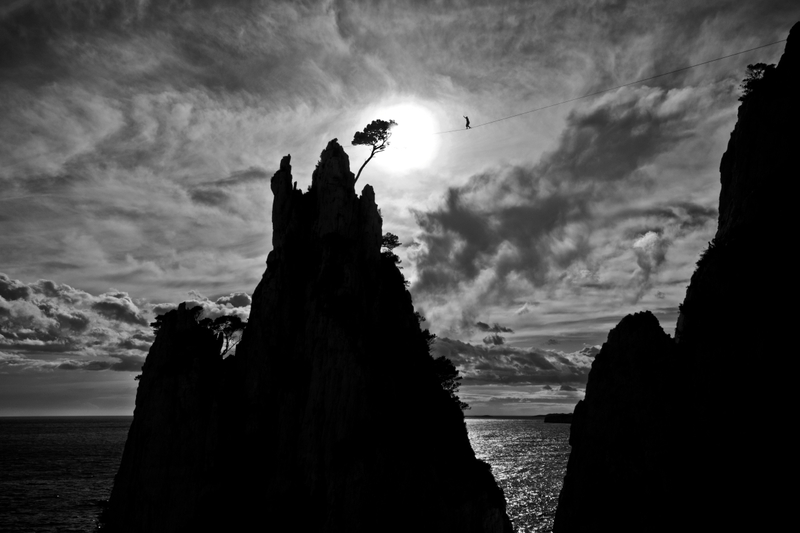 Whenever I am walking a really long highline, close to my personal limit, I’m usually nervous about walking the end. That is the hardest part and where I usually tend to fall if I don’t stay focused. I think I have quite a few fans inside and outside of the slackline community who love what I do and who are inspired by my projects, just as I am inspired by them. One of my biggest fans certainly is my 8 year old brother Leo, who loves watching me and who recently slid over a highline together with me, showing no fear of height whatsoever. Carl Marrs, a good friend of mine from the US, once told me to “fight without desire”, meaning I should let go of the thought of “sending” the line from anchor to anchor and just focus on each step and the joy of being on a highline. It worked! When I started caring less about falling, I was able to cruise that line with ease. Finishing my teacher’s degree at the University of Munich and then traveling the world, looking for the most epic and beautiful highline spots and visiting my friends in the USA and Canada. 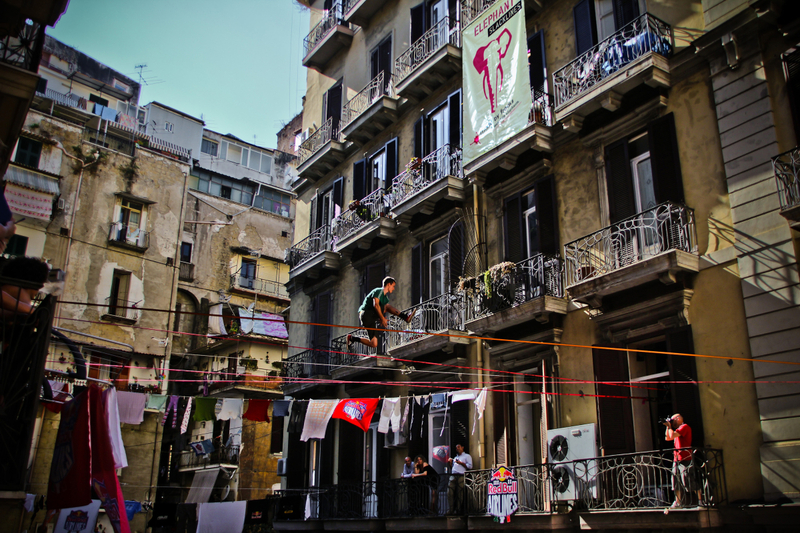 Get good gear, stick to other slackliners and benefit from their experience and above all: HAVE FUN ON THE LINE! That’s why we do it in the first place, right?